The Norwegian Advanced Light Microscopy Imaging Network, NALMIN, coordinated by Harald Stenmark at Institute for Cancer Research and Centre for Cancer Biomedicine, has been funded by 49.5 MNOK by the Research Council of Norway. This is good news for Norwegian researchers who use light microscopy in their studies. Light microscopy is a core methodology in life sciences, and rapid advances in technology - accentuated by the 2014 Nobel Prize in Chemistry to three inventors of super-resolution light microscopy - are offering new opportunities that must be utilized by the Norwegian research community. 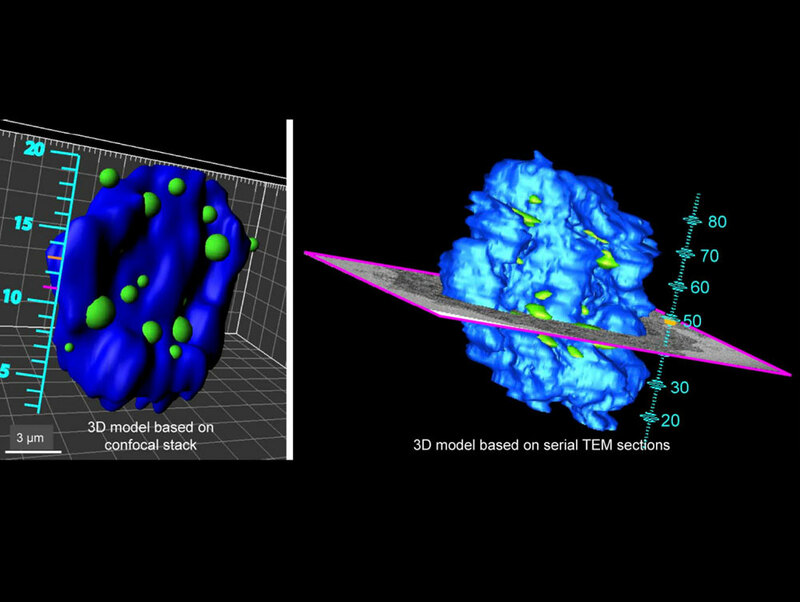 The vision of the Norwegian Advanced Light Microscopy Imaging Network (NALMIN) is to provide Norwegian researchers with the most advanced light microscopy technology to image biologically and biomedically important molecules at high to ultra-high resolution in systems ranging from microorganisms and cell cultures through plants and small animals. NALMIN's principal goal is to establish a network at international competence level for advanced light microscopy. The network consists of 5 national nodes located in Oslo (2 nodes), Bergen, Trondheim and Tromsø, each with specialized competence. All nodes are members of the national NorBioimaging infrastructure organization, and three of the nodes have already qualified, pending financing, for membership in the ESFRI network EuroBioimaging. Three of the nodes are associated with Norwegian Centres of Excellence (CCB, CIR and CEMIR). Research groups in Norway will have access to both the national centres and the international EuroBioimaging nodes for their specific research, providing cutting-edge imaging techniques to a broad community. An additional goal for NALMIN is to introduce and develop new imaging techniques and to actively support and educate users within a broader range of life science disciplines through basic courses and advanced training.